Archbishop’s Palace in Lima a classy stop | Where to next? It’s a package deal to visit the Archbishop’s Palace and Museum, and the Lima Cathedral with its Museum of Religious Art. The one-for-two admission ticket is a good way to get 30 soles ($12) out of a person in one hit, but don’t go late in the day because the tickets are good for a single day only. Poor John and I saved our visit until the morning of our last full day in Lima, so we had plenty of time to get our moneys worth. The palace and cathedral sit side-by-side, facing Plaza Mayor, the city’s main square. Our first stop was the palace. 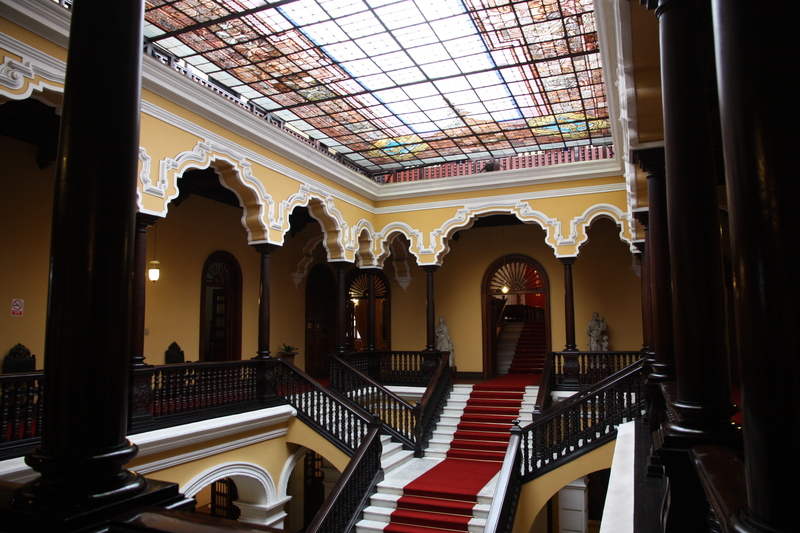 Built in 1924, the current residence is considered a prime example of neo-colonial architectural that developed in Lima during the early 20th century. It replaced an earlier structure that was in disrepair and demolished. 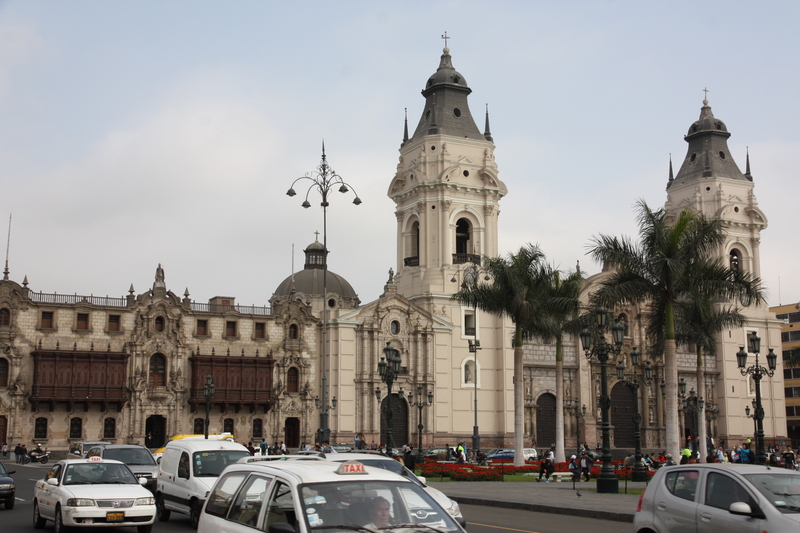 Today the palace serves as the Archbishop’s residence, the administrative headquarters for the Roman Catholic Archdiocese of Lima, and headquarters for the cardinal of Peru. It is a beautiful building. The façade is made up of baroque elements, and built of re-integrated rock. Ornate cedar balconies frame the main entrance. As you enter, there is an illuminated ceiling that allows the entryway (with its marble staircases and wooden handrails) to be flooded with light. Downstairs is a collection of religious artworks. I admit to being rather sick of religious art, but I did like the intricately carved panels on display. The rooms upstairs are spectacular. The furniture, drapes, carpets, lights, colour schemes are all beautiful, without being over the top. It’s hard to imagine that anyone lives there. Perhaps my entry fee pays for someone to dust and pick up after the archbishop. Then it was off to the cathedral, which I somehow have no pictures of. Must have been forbidden.